There are many opportunities for St. John students to participate in drama. 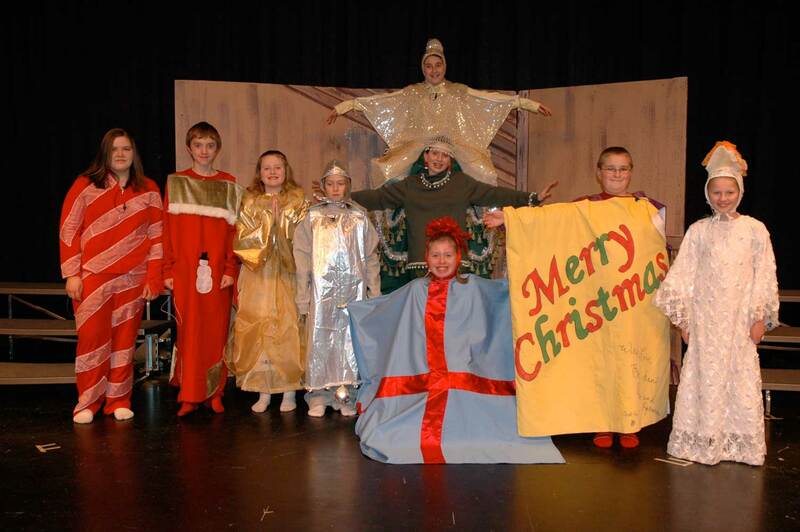 Children can audition for main parts in plays starting in the 5th grade; however drama performances include all the children of St. John with either singing or recitation. Christmas has traditionally been the main performance of the year. Most of our performances are held in the auditorium at the Berlin High School; however, some spring plays and talent shows are held right at the school. Below are some of the photo highlights of past performances.